Salman’ Khan first ever reality show as a host was 10 Ka Dum. Sony TV is all set to bring back the reality show Dus ka Dum 2018 again with its third season. The show is coming back after 8 years of gap, so it will be interesting what’s new Sony TV bring with this season. It is officially announced and the show is going to hit on TV in June 2018. The show registration has now started and all the audition and registration information is given below.Dus Ka Dum is a celebrity quiz reality show which consists of two rounds, Round one and round two and all the participant compete with each other. Bollywood actor Salman Khan will be once again hosting Dus Ka Dum has hosted two seasons of the show back in 2008 and 2009. The auditions of dus ka dum 2018 are starting soon.This season will be more exciting and some thing new that the previous season. 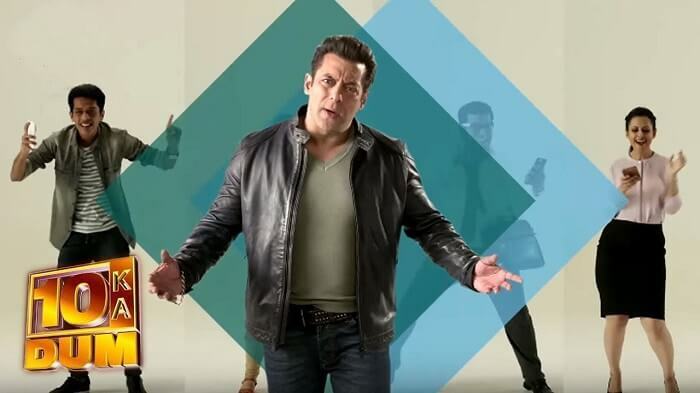 Be ready to play Dus Ka Dum and win big amounts. Age: Between 18- 35 years.